Hurricane Maria closed in on the US Virgin Islands late Tuesday as the US National Hurricane Center warned of a "potentially catastrophic" impact from a storm that has already killed at least two people in the Caribbean. Winds packing 160 miles (255 kilometers) an hour were already lashing the US islands as Maria barreled westwards, forecast to make landfall Wednesday before heading to Puerto Rico. "Preparations against life-threatening storm surge and rainfall, flooding and destructive winds should be rushed to completion," the NHC said, warning the eye of the Category Five hurricane was approaching St Croix, one of the US Virgin Islands. On St John Island, locals reported seeing trees swirling in the wind, with rain pouring "sideways" as Maria continued on its path of destruction after battering the island of Dominica and other territories in the eastern Caribbean. Arriving just as islanders are struggling to recover from devastating Hurricane Irma, which struck earlier this month, Maria claimed two victims in the French territory of Guadeloupe, where two other people were missing. One person was killed by a falling tree as powerful winds whipped the archipelago, authorities said, while another died on the seafront. Two more disappeared when their boat went missing in the storm. Judi Buckley, former senator for St Croix Island, traveled to St John from her South Carolina home to help with the Irma relief effort - only to get caught up in Maria. "We have become the Irma relief hub and our brothers and sisters across the pond can't afford for us to be crippled," she said, referring to those on St Croix. On neighboring Dominica, premier Roosevelt Skerrit posted on Facebook that there were initial reports of "widespread devastation", with official communications to the island completely cut off in the wake of the storm. The airport and ports have been closed on the tropical island of 72,000 people. St Martin, a French-Dutch island that was among the worst hit by Irma with 14 dead, was under a maximum "violet" alert, with people ordered to stay indoors. A similar measure was in place in the British Virgin Islands. On Puerto Rico, Governor Ricardo Rossello described Maria as "the worst storm of the last century." Schoolteacher Noemi Aviles Rivera, 47, who experienced Hurricane Hugo in 1989 and Georges in 1998, said: "I'm not denying I'm scared. I feel worried because it's the first time I'll see a hurricane of this magnitude." 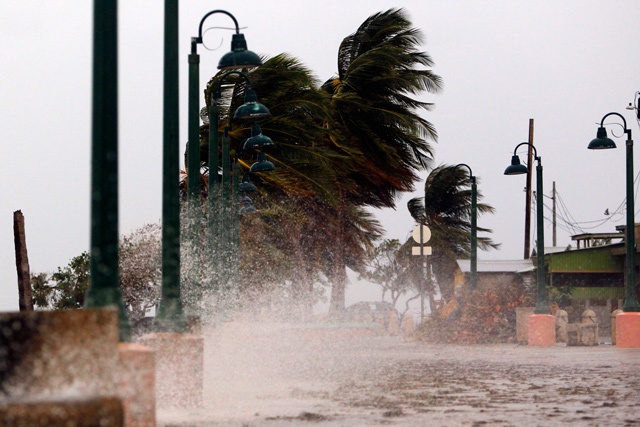 Guadeloupe was serving as a base for aid flights to Irma-hit French territories after the hurricane, and there were fears that major damage there could hamper the relief operation. Authorities announced a driving ban, with several areas around the largest city Pointe-a-Pitre flooded and fallen trees blocking many roads. Some 40 percent of households in the territory of 400,000 were without power. "Everything around me is shaking," former French minister Victorin Lurel told BFMTV from his home in the south of the island. 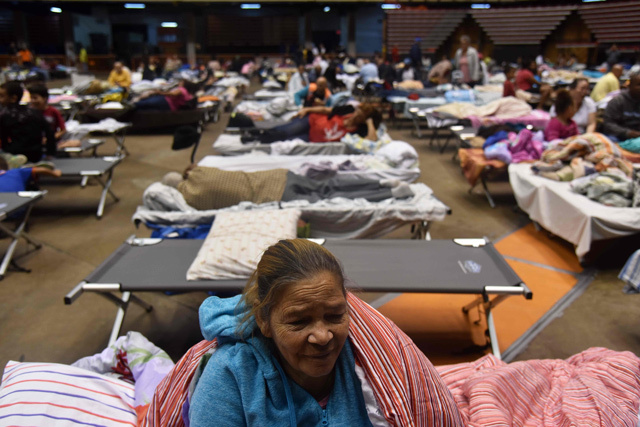 The Dominican Republic, whose east coast was battered by Irma, ordered citizens in part of the north to evacuate ahead of Maria's arrival. St Kitts and Nevis, the British island of Montserrat, and the Puerto Rican islands of Culebra and Vieques were also on alert. Britain, France and the Netherlands boosted resources for the Caribbean ahead of the storm, after facing accusations that they were ill-prepared for the damage done by Irma in their overseas territories. "We are planning for the unexpected, we are planning for the worst," said Chris Austin, head of a UK military task force set up to deal with Irma. France said 110 more soldiers would be deployed to the region after widespread complaints of looting and lawlessness on St Martin after Irma. Building supplies were hurriedly flown in to help islanders repair roofs torn off by Irma as Maria approached. 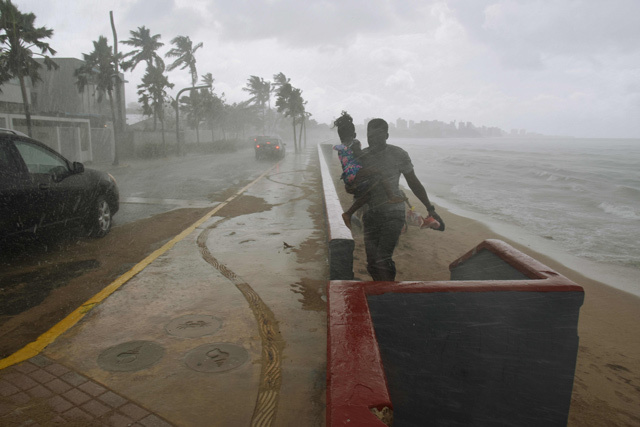 Irma left around 40 people dead altogether in the Caribbean before churning west and pounding Florida, where the toll of deaths linked to the hurricane rose to 58 on Tuesday. The hurricane broke records when it whipped up winds of 295 kilometers per hour for more than 33 hours straight. French President Emmanuel Macron said the lethal sequence of hurricanes was "one of the direct consequences of global warming." Macron hosted US President Donald Trump in Paris in July when he sought to persuade the US leader to reconsider his decision to pull out of the Paris climate accord. Many scientists are convinced that megastorms such as Irma are intensified by the greater energy they can draw from oceans that are warming as a result of climate change.